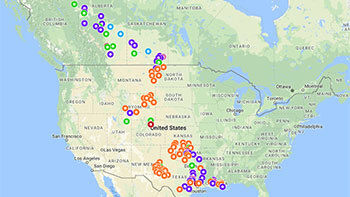 Our leadership team combines many years of experience with an in-depth understanding of the midstream energy sector. To learn more about our knowledge and experience, read our team bios. Our Executive team is made up of industry professionals hand-picked for their experience and knowledge, and their commitment to customer-service. Steve Spaulding is our President and Chief Executive Officer. 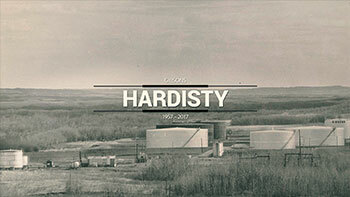 As such, he is accountable for Gibson Energy’s operational performance and strategic direction. He became a member of our Board of Directors in June 2017. 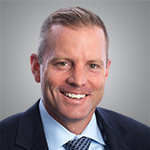 Before joining Gibson Energy, Steve was Executive Vice President, Natural Gas Liquids with Texas-based Lone Star NGL LLC, a subsidiary of Energy Transfer Partners. Prior to that, he served as Senior Vice President, Gathering and Processing at Crosstex Energy, which is now Enlink Midstream Partners. With more than 25 years in the midstream industry, Steve’s experience encompasses all facets of the business including operations, business development, and marketing. Steve earned a Bachelor of Science degree in chemical engineering from The University of Oklahoma. 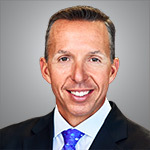 Sean Brown is Gibson's Senior Vice President & Chief Financial Officer. In his role, he oversees the financial management of the company including, finance, accounting, tax, treasury and capital market financings as well as corporate planning and development, investor relations and enterprise risk management. Prior to joining Gibsons, Sean spent fifteen years in investment banking where he provided strategic, financial and capital raising advice to companies in the energy infrastructure sector across North America. Most recently he was a Managing Director in the Power & Energy Infrastructure Group at BMO Capital Markets, based in Calgary, and prior to that was with J.P. Morgan Securities Inc., based in New York. Sean holds a Business degree from Acadia University, an MBA from the Richard Ivey School of Business and is a CFA charterholder. As Senior Vice President & Chief Administrative Officer, Sean Wilson provides strategic and functional leadership for Information Technology, Human Resources, Supply Chain Management, Legal, Communications, Stakeholder Engagement, Process Improvement & Change Management and Information Management. Since joining Gibson Energy in 2007, Sean has held key leadership roles including Vice President, General Counsel and Corporate Secretary. 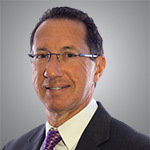 Before moving into his position as Chief Administrative Officer, Sean served as Gibson’s Vice President, Commercial Development where he gained valuable insight into the needs of Gibson’s customers; positioning him to lead his teams successfully in delivering value creating initiatives to our stakeholders. Prior to joining Gibson, Sean was a Corporate Lawyer at a leading national law firm. Sean holds an LL.B. from the University of British Columbia and an MBA from the University of Calgary. Sean is a member of the Law Society of Alberta. 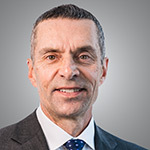 As Senior Vice President, Operations and Engineering, Michael Lindsay is accountable for the safe and reliable operations of Gibson’s Canadian assets including our Hardisty and Edmonton, Alberta crude oil terminals and processing facilities. In addition, Michael is also responsible for supporting our commercial team’s growth plans through our Engineering and Construction team. He recently held the position of Vice-President, Engineering and Construction. Mike has gained extensive experience in a variety of roles during his 25-year career in the oil, gas and energy sector. Before joining Gibsons, Mike held several senior positions with Suncor Energy where his responsibilities included project management and execution, regulatory compliance as well as quality and risk management. Mike holds a Bachelor of Science degree in Mechanical Engineering from the University of Alberta and is a member of the Association of Professional Engineers and Geoscientists of Alberta. He is an active member on the Campaign Cabinet for the United Way of Calgary and Area. Our Board of Directors is comprised of professionals who are leaders in their fields. Each member brings specialist expertise to the board, and together they are well placed to lead our company toward its place as an industry leader. 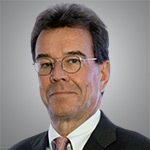 Mr. Estey is the former Chair of the board of UBS Securities Canada Inc. and has more than 30 years of experience in the financial markets. He is also currently the Chair of the board of PrairieSky Royalty Ltd., a member of the Advisory Committee at the Murray Edwards School of Business and is involved in several charitable organizations. Mr. Bloom was elected as a director of Gibson Energy on May 4, 2016. Mr. Bloom retired from Spectra Energy (now Enbridge) in April of 2016, with over 30 years' experience in the oil and gas industry. 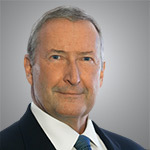 He served in numerous executive capacities with Spectra Energy and its predecessor companies Duke Energy and Westcoast Energy. 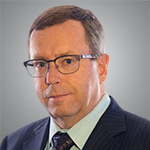 From 2013 to 2016 he served with Spectra Energy as President, Canadian LNG, from 2008 to 2012 as President, Spectra Energy Transmission West, and from 2003 to 2007 as President, Maritimes & Northeast Pipeline. 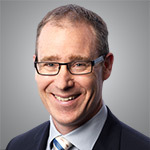 Mr. Bloom has served as a board member of the Canadian Energy Pipeline Association and as its Chair in 2011/2012. He holds bachelor’s and Master's degrees in economics. 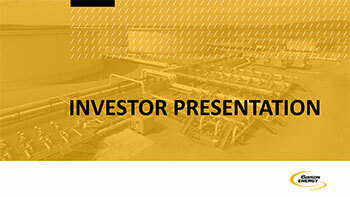 Mr. Cleary was appointed as a director of Gibson Energy on April 4, 2013. He is currently a Managing Director of Global Infrastructure Partners, where he has been since May of 2012. Prior to that, he was the President of El Paso Corporation’s Western Pipeline Group and previously served as the President of ANR Pipeline Company. 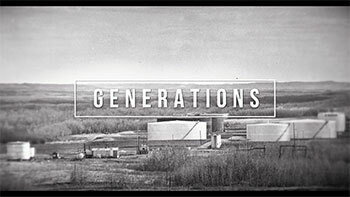 Before 2001, Mr. Cleary was the Executive Vice President and General Counsel of Southern Natural Gas Company. He holds a Bachelor of Arts from the College of William & Mary and a Juris Doctorate from Boston College Law School. Mr. Festival has over three decades of experience in the oil and gas industry. 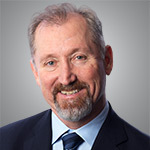 Mr. Festival is currently President, CEO and a director of Broadview Energy Ltd., a private corporation with heavy oil assets in Alberta and Saskatchewan. From 2009 through 2018, Mr. Festival served as the President and Chief Executive Officer and a director of BlackPearl Resources Inc. Prior to that, he served as the President of BlackRock Ventures Inc. from 2001 to 2006 and as its Vice President of Corporate Development from 1999 to 2000. Mr. Festival is currently a director of both International Petroleum Corp. and Toscana Energy Income Corporation. He holds a degree in Chemical Engineering from the University of Saskatchewan. Ms. Jones was appointed as a director of Gibson Energy on December 1, 2018. Ms. Jones currently serves as the Executive Vice President and President & CEO of Potash at Nutrien Ltd. She encompasses a wealth of experience from previous roles including Business Development and Strategy; Managing Director of the European Distribution Business; Vice President of Wholesale Sales, Marketing and Logistics; Chief Legal Officer; and Executive Vice President and President of Phosphate. Ms. Jones holds a degree in Law from the University of Ottawa as well as a Bachelor of Arts in Political Science and Hispanic Studies from University of Victoria. 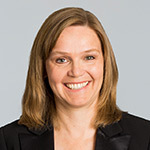 Ms. Jones has been admitted to the Bar in British Columbia and Alberta and has served on the agricultural sub-section of the Canadian Bar Association. 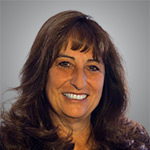 Ms. Peters was appointed as a director of Gibson Energy on February 3, 2014. Ms. Peters is a businesswoman with over 30 years of experience in the midstream and downstream sectors with Marathon Petroleum Company LP. During her tenure at Marathon, Ms. Peters held senior executive roles as Senior Vice President of Transportation and Logistics, Senior Vice President of Marketing and President of Marathon Pipeline. Ms. Peters graduated from Indiana University with a Bachelor of Science degree (Finance) and holds a Master of Business Administration from Bowling Green State University and until August 2018, served on the board of directors for Baytex Energy Corporation. Her previous board experience includes acting as Chair of the board for Louisiana Offshore Oil Port and as a Director of Colonial Pipeline Company. Mr. Spaulding is our President and Chief Executive Officer. As such, he is accountable for Gibson Energy’s operational performance and strategic direction. He became a member of our Board of Directors in June 2017. Before joining Gibson Energy, Mr. Spaulding was Executive Vice President, Natural Gas Liquids with Texas-based Lone Star NGL LLC, a subsidiary of Energy Transfer Partners. Prior to that, he served as Senior Vice President, Gathering and Processing at Crosstex Energy, which is now Enlink Midstream Partners. With more than 25 years in the midstream industry, Mr. Spaulding’s experience encompasses all facets of the business including operations, business development, and marketing. He holds a Bachelor of Science degree in chemical engineering from The University of Oklahoma.